Winter is coming to the UK this weekend as the country braces itself for plummeting temperatures. Temperatures will fall over the weekend before dropping below zero on Sunday night and into Monday as the UK faces its first widespread frost of the winter season. 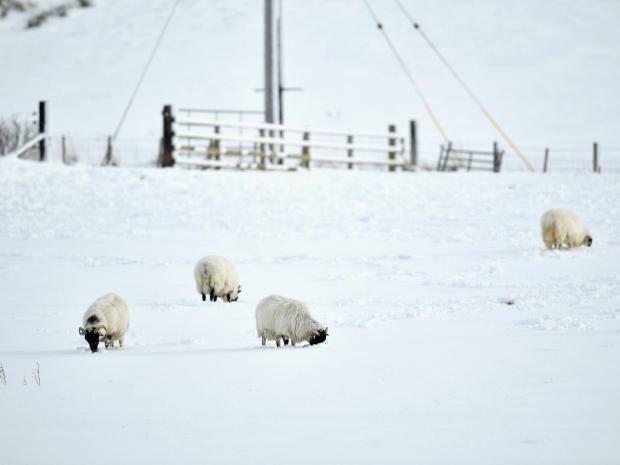 Scotland and the north of England face the worst of the weather, with snow set to fall in some parts of the country – most likely on Sunday night or Monday. It will be a significant change from conditions earlier this month, when temperatures rose as high as 23.5 degrees Celsius in Kent. Charles Powell, a Met Office meteorologist, told The Independent: “On Saturday we pick up a very strong north-westerly wind. Added to that we've got a bit of rain up the west side of the UK, especially the north-west, and more cloud around. 0 Response to "UK weather latest: Temperatures to plummet this weekend as mild spell ends"